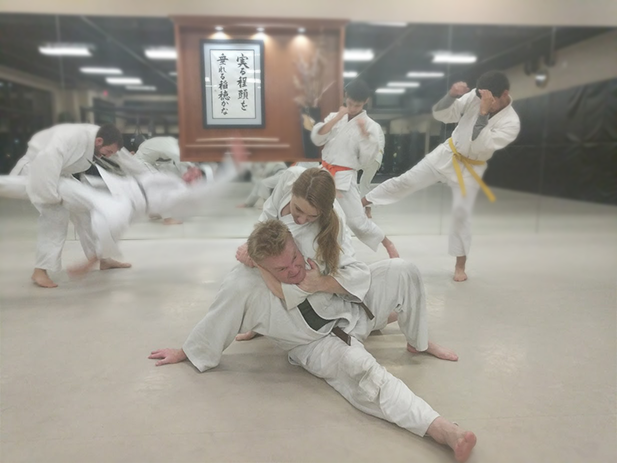 As a non-profit organization, Zanshin Dojo is dedicated to providing all members of the community with access to high quality martial arts instruction. The traditional Japanese Martial Arts serve as a foundation for teaching self-confidence and self-control. Our students learn self-defense as they increase their fitness and improve their ability to reach their goals in life. Instructors volunteer their time and passion in the hope that students will one day become Zanshin instructors themselves and continue the tradition. Training with friends or family? Ask about our group rates! Get fit while having fun boxing. Hit heavy bags, work mitts with a partner, and finish with a conditioning circuit.